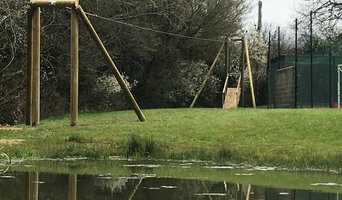 Darren's Dens design, construct and install bespoke commercial and residential playground equipment, climbing frames, tree houses, and play areas. Our products are custom made to a high standard using quality sustainable timber that will last for many years and are designed so that they can have other play equipment or more towers added on as your child's ability and confidence grows. We use local suppliers when we are able to, in order to keep our carbon footprint down. Some of the products we use are either recycled plastics and rubber or made using materials that can be recycled, these include our play panels, rubber safety matting and rubber safety mulch. We aim to provide affordable high quality unique timber play equipment which can be individually designed and custom built. We have no sales representatives so we offer a completely personal service and understand your needs and requirements. We have a passion for providing safe and exciting play areas for children of all ages. Flights of Fantasy are experts at creating custom made, luxury play equipment and children’s play areas for clients all over the world. 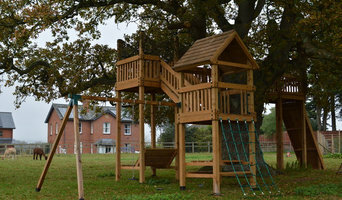 Using sustainable timber, we can make almost anything and our wooden play equipment has included everything from trains, ships, replica landmarks, natural play areas, school playground equipment, lighthouses, tree houses, wooden sculptures, tractors, and of course our famous luxury playhouses. If you have any questions or would like to discuss a potential project, please do not hesitate to contact us. If you want to know if we can build something, we can tell you in advance that yes we can! Based in the South West of England Playways design, manufacture and build playhouses, climbing frames and garden play equipment. 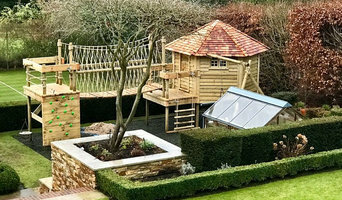 Our designer playhouses and wooden climbing frames are designed to last for years. 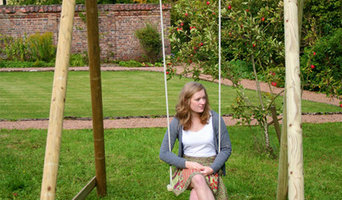 Our wide range of original and unique deigns of children's outdoor play equipment have something for everyone. Our handmade custom playhouses and bespoke raised playhouse climbing frames are made superior the highest quality materials. 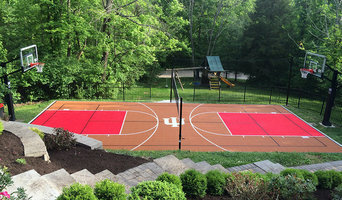 Bradleys Surfacing Systems are suppliers and installers of synthetic surfacing for landscaping and and sports applications across both commercial and educational settings.